This Gaudi walking tour is a double feature: a walking tour + a skip-the-line ticket to the Casa Batlló house. 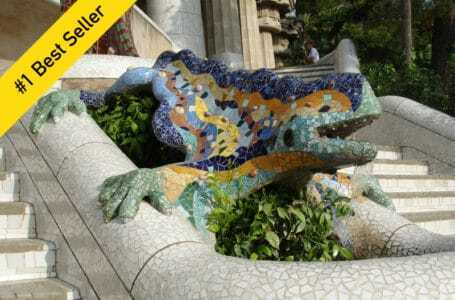 1° Our “Gaudí Extravaganza – Best of Barcelona Tour” explores the unconventional, breathtaking works of Antoni Gaudí all over town, in Discover Walks’ trademark style – with a passionate, enthusiastic and fun native of Barcelona as your guide. 2° You also obtain a skip-the-line, any-day, ticket for what Gaudí himself considered his most accomplished masterpiece: Casa Batlló. On the day of your booking we meet at 10.30am nearby Sagrada Familia (Avinguda de Gaudi 2) for a walking tour of Barcelona. The tour ends in front of Casa Batlló that you can visit on your own right after the tour’s end with the skip-the-line ticket to Casa Batlló you will receive from your guide. Your walk runs a leisurely 90 minutes, in a small group, in English. 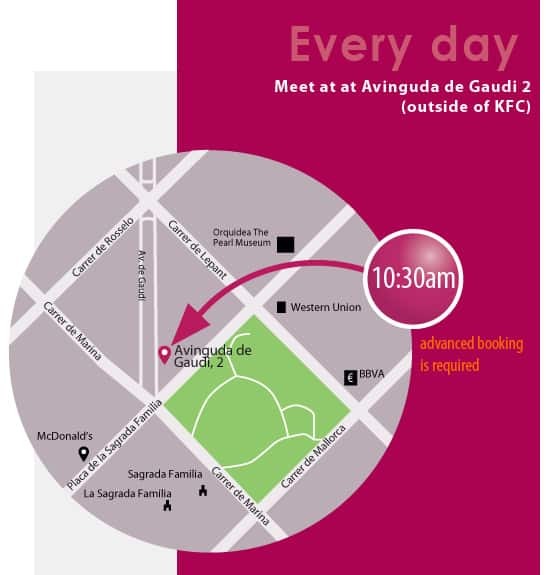 Our Gaudi Extravaganza tour start on time every day at 10.30am rain or shine and last a leisurely 90 minutes. Closed on January 6 (our ‘3 kings Day’ holiday). We meet outside right nearby Sagrada Familia, in Avinguda de Gaudi 2 (in front of KFC) Your guide will be wearing a pink vest. If you see only one thing in Barcelona, it needs to be Gaudí’s work! €59 per person – booking needs to be made 48 hours in advance. This tour includes: a walking guided tour of Barcelona + a skip-the-line, any-day, VIP ticket into Casa Batlló. Does not include: hotel pick-up or drop-off, guide to Casa Batlló (your tickets are for a self-guided tour). The tour start on time every day at 10.30 am rain or shine.